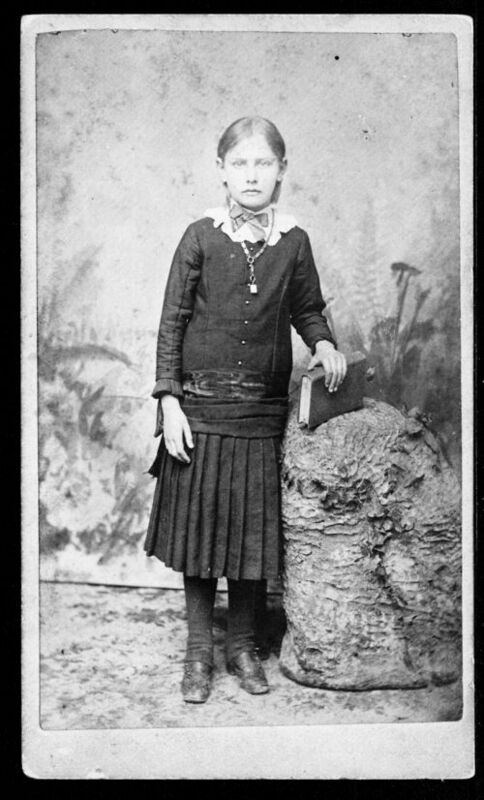 A studio portrait of Ida Alfreda Bechtel at age ten. In 1893, Bechtel married East Branch Township, Kansas, businessman Ashley Rood. The couple had two children: Ruth and Harold.